Being able to skip your way into hidden areas of A Link to the Past is nothing new, if you know how to use the Walk Through Walls Game Genie cheat. A man on YouTube, by the name of “SuperSlash132” has used this cheat to accomplish what many only dream of doing: Beating A Link to the Past in under three minutes. As if that wasn’t enough, he goes and does it again, in 2:07. Walk Through Walls is nothing new, however, as Zelda fans have been doing this for years to find secrets deep within the game. What else can be found, besides the ending sequence? Make use of the code 7E005EFF in your Game Genie (or ZSNES) and see what you can find! When discussing the Legend of Zelda series, the Triforce is a common topic. It’s one of the main focal points of the series, but how much do fans really know about it? Many people find it hard to understand exactly what it is and does, because information about it is spread out over multiple games. By piecing together all the Triforce information given in the games, we can get a better grasp of the true nature of the Triforce. In the midst of this chaos, in a little kingdom in the land of Hyrule, a legend was being banded down from generation to generation, the legend of the “Triforce”; golden triangles possessing mystical powers. One day, an evil army attacked this peaceful little kingdom and stole the Triforce of Power. This army was led by Ganon, the powerful Prince of Darkness who sought to plunge the World into fear and darkness under his rule. Fearing his wicked rule, Zelda, the princess of this kingdom, split up the Triforce of Wisdom into eight fragments and hid them throughout the realm to save the last remaining Triforce from the cluthes of the evil Ganon. There are two Triforce pieces: The Triforce of Power and the Triforce of Wisdom. They possess “mystical powers”, but exactly what the powers are is not known. The Triforce pieces exist in a physical form. The Triforce of Wisdom is broken into eight pieces, and then re-assembled. When Ganon is defeated, his Triforce of Power appears in his ashes, showing that you lose your Triforce piece upon death. As with the original Legend of Zelda, Adventure of Link has little to offer us in-game, but the manual gives us some new insights. Then, the prince of the kingdom should have become king and inherited everything, but he could inherit the Triforce only in part. There are three kinds of Triforce – Power, Wisdom, and Courage. When these three are brought together, the Triforce will share its maximum power. Not everybody can use the Triforce. It requires a strong character with no evil thoughts. But an inborn special quality is also necessary. Unfortunately, I have not found such a person during my lifetime. Therefore, I have decided to cast a spell on all of Hyrule. A crest will appear on a young man with that character who has been brought up correctly, has gained many kinds of experiences and reached a certain age. But, what will happen if someone else uses the Triforce before then? There is actually a third piece, the Triforce of Courage, which forms the complete Triforce, and only when all three Triforce pieces are together will it be at its maximum power. At the end of the game, Link unites all three pieces together, and the complete Triforce is able to awaken Zelda, who is in an eternal sleep. This is the first example in the series of the complete Triforce exerting powers that the individual pieces could not. Not everyone can inherit the entire Triforce though. Whether the prince was physically incapable of controlling all three Triforce pieces, or just deemed unworthy by the king is not specified. However, it takes a special inborn quality for someone to use the entire Triforce, and few have it. And though it’s possible for someone to control the entire Triforce and use it for good, the Triforce can be used for evil as well. The Triforce appears impartial to whether its holder is good or evil. A Link to the Past is the first game to explain how the Triforce came into existence. After telling the story of Hyrule’s creation by the gods of Power, Wisdom, and Courage, the manual and the game intro give us the origins of the Triforce. After the gods had finished their work, they left the world, but not before creating a symbol of their strength, a golden triangle known as the Triforce. A small but powerful portion of the essence of the gods was held in this mighty artifact, which was to guide the intelligent life on the world of Hyrule. that resided in a hidden land. Finally we know where the the Triforce came from. After creating Hyrule, the gods of Power, Wisdom, and Courage left behind the Triforce. Containing the essence of the gods, it is both omnipotent and omniscient. The resting place of the Triforce was a sacred, hidden land. It would remain there until a worthy holder, or holders, would appear bearing a crest, or Triforce mark. A Link to the Past explains what the “mystical powers” spoken about in Legend of Zelda are. This is the first look we get at the true purpose and nature of the Triforce. Here we see that the Triforce is capable of speech, and encourages its holder to make a wish. The Triforce appears eager to fulfill its duty. The Triforce grants the wishes of its holder, whether good or evil. It does not, and can not, judge between good and evil when granting wishes, because only the gods can do that. A Link to the Past then gives us a possible example of the gods judging between good and evil. If the Triforce falls into the wrong hands, a Hero will appear. Since we know that the Triforce itself does not judge good and evil, it’s likely that the emergence of a Hero is a work of the gods. The Adventure of Link manual asks what should happen if the Triforce would fall into the hands of someone who would not use it for good, and A Link to the Past answers that question. We are also shown what happens when it is used for good. I do not know what Ganon wished for from the Triforce. However, in time evil power began to flow from the Golden Land. world, but evil has twisted it. what is in your heart and mind. If someone with an evil heart touches the Triforce, it will reflect his heart, and transform the land where the Triforce rests into a Dark World flowing with evil. When someone enters this land, they too will become mirrored by the Triforce. Their outward appearance becomes a reflection of their heart. It will only cease to flow with evil if a master with a pure heart touches the Triforce. Once the Triforce is touched, it will only serve and grant wishes to one master as long as he lives. Upon the death of its owner, the Triforce will await a new owner. Further evidence that the Triforce is aware of its purpose, and desires to be owned. Ocarina of Time also tells the origin story of the Triforce, but goes into greater detail. Here the gods spoken about in A Link to the Past are given gender and names: Din, the goddess of power, Nayru, the goddess of wisdom, and Farore, the goddess of courage. It’s also specified that they are golden, thus explaining the Triforce’s golden appearance. When the goddesses left the world, the Triforce was left at their exit point. This resting place of the Triforce became the Sacred Realm. The term “Sacred Realm” is the actual name for the place where the Triforce rests. This name is not in contrast with A Link to the Past, as “Golden Land” was the term Nintendo of America chose to use in A Link to the Past, but it doesn’t actually appear in the Japanese text for the game. A Link to the Past shows us what power the Triforce yields when touched by someone capable of controlling it, but what happens when the person who touches it cannot control all three pieces? gain the True Force to govern all. on the backs of their hands. While we know from A Link to the Past that the Triforce cannot judge between good and evil, it can weigh the forces of Power, Wisdom, and Courage. Only a person with all three forces in balance can govern all three pieces with the True Force, the full extent of the Triforce’s power. They will only receive the piece reperesenting the force they most believe in. This is a possible reference Adventure of Link’s statement that the prince could only inherit the Triforce in part. The other two pieces will dwell inside two people chosen by destiny to hold them. 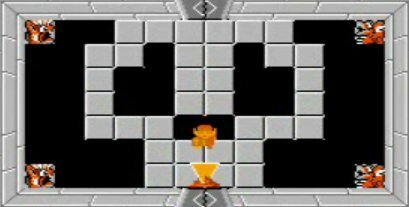 This shows that the Triforces can exist in either a physical form, (as seen in the first three games) or a non-physical form. Triforce marks will appear on the backs of the hands of two people chosen by destiny. This references A Link to the Past’s concept of people “suitable of inheriting the power” and having crests. If the unbalanced person wishes to obtain the True Force, he must find the two chosen ones, and take their Triforce pieces from them. Near the end of Ocarina of Time, Ganon manages to find out that Link and Zelda hold the other two pieces. Bringing them together, he attempts to fulfill the prophecy. Ganondorf’s words here hint that the Triforce itself desires to be united again. and hoped that you would return. Using her Triforce of Wisdom, Zelda was able to perfectly disguise herself as a Sheikah. This shows that similar to the complete Triforce, the individual Triforce pieces have transformation powers. However, the effects of the individual pieces can occur outside of the Sacred Realm, and appear to be controllable by the piece’s holder. After defeating Ganondorf and escaping his collapsing tower, Link and Zelda have little time to celebrate. Ganondorf ascends out of the rubble, and his Triforce of Power begins glowing on his hand. Appearing to harness its strength, he is revived. Ganondorf’s sudden surge of life and energy shows that an individual Triforce piece is capable of protecting, or reviving its holder. Along with his revival, Ganondorf’s Triforce of Power transforms into the pig-monster Ganon. As with Zelda, this transformation is outside of the Sacred Realm, and is controllable by Ganon. 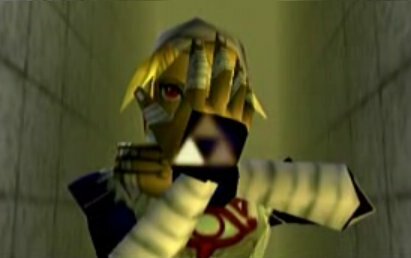 The Oracle games both take place outside of Hyrule, and as a result of that, have little to do with the Triforce. A couple of facts from previous games are reinforced though, and one new power of the Triforce is displayed. 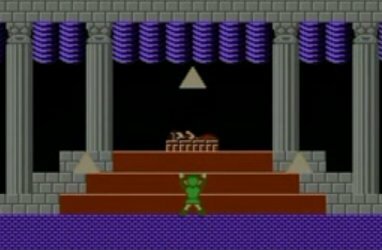 The games each begin with Link walking into a room where the three Triforce pieces are resting on pedestals. 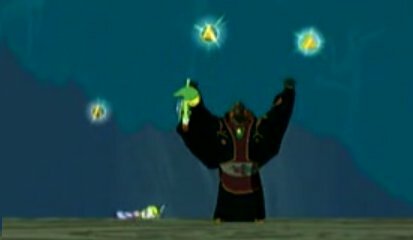 The Triforce pieces float into the air, and after urging Link to accept their quest, transport him to the foreign lands of Holodrum and Labrynna to stop a plot to revive Ganon. From this we can learn two things. The Triforce has teleportation powers. Another important note is that in both games, several characters take note that Link has a Triforce mark on his hand. This is a likely reference to the King’s spell in the manual of Adventure of Link. When the Hero of Time was called to embark on another journey and left the land of Hyrule, he was separated from the elements that made him a hero. It is said that at that time, the Triforce of Courage was split into eight shards and hidden throughout the land. The Hero of Time refers to the Link of Ocarina of Time. After defeating Ganon and sealing him away with the help of Zelda and the other six sages, Link is sent back through time to regain his childhood. Wind Waker tells us he then lost his Triforce of Courage piece, and it split into eight shards and was hidden throughout the land. He lost his Triforce of Courage when he was sent back to his childhood to prevent it from going with him. If the Triforce piece had gone with him, there would be an extra Triforce piece in Link’s childhood, and a missing piece on the timeline of his adulthood. He lost his Triforce of Courage when he left for the land of Termina. The Triforce piece left him because it could not go to Termina, as it is a parallel world. Either way, it appears there are limitations on where the Triforce can be taken. Whether this is a work of the Triforce itself, or the gods, is unknown. This necklace you wear is part of a sacred treasure called the Triforce of Wisdom, which has been passed down for many ages within the royal family of Hyrule. Your mother passed this down to you and instructed you to treasure it…and to guard it with your life. Am I not correct? The Triforce of Wisdom is none other than the sacred power of the gods that we have kept from Ganon’s clutches for so many long years. The gods placed upon your ancestors the task of protecting it from evil’s grasp. A piece of the Triforce was given to the Hero of Time and he kept it safe, much as Zelda kept hers. That sacred piece is known as the Triforce of Courage. Here Daphnes reveals an interesting fact regarding the individual Triforce pieces. Zelda’s anscestors were instructed by the gods to keep the Triforce of Wisdom safe from evil, and the Hero of Time, Link, performed a similar duty. The Triforce itself does not care if its holder is evil, but the gods are well aware, and take precautions to keep the Triforce from being owned by an evil one. …That here, I would again gather the three with the crests. Having gathered the two other Triforce holders again, Ganondorf fulfills the prophecy of the Triforce, and unites the three pieces into one again. Interestingly, Ganondorf doesn’t have to kill Link or Zelda in order to obtain their Triforce pieces. By merely weakening them, he is able to summon the pieces out of their bodies. It appears that just as he implied in Ocarina of Time, the Triforce pieces want to be united. This fits well with A Link to the Past where we are told the Triforce awaits its new Master. The Triforce wants to be united and owned so that it can fulfill its purpose: The granting of wishes. The power of the gods…The Triforce! He who touches it will have whatever desires granted. Gods of the Triforce! Hear that which I desire! In an interesting twist of events, it appears that it’s not the Triforce itself granting the wishes of the holder, but the gods! Perhaps because their essence is contained in the Triforce, they have no choice but to grant the wish of the one who touches it. This explains why so many precautions have been set in place. The Triforce only desires to be used, and is impartial to good and evil, but the gods do not want to grant wishes to an evil one. Since they have no choice but to grant the wishes of the Triforce’s master, the Triforce was designed to only be controllable by someone with all three forces in balance, and a hero is destined to appear if an evil one manages to control the Triforce. Oddly enough, Twilight Princess never calls the Triforce by name. However, Ganondorf, Zelda, and Link all possess Triforce crests, and the term “power of the gods” is used on occasion. The Japanese text for the game paints a much clearer picture as to how a person is “destined” to receive a Triforce piece and bear a crest. While “destiny” is a vague term, and could imply the Triforce pieces themselves are choosing their new holders, “chosen by the gods” is a much more clear description. If the Triforce is split, the gods, or goddesses, choose two people to bear Triforce pieces and possess a crest. More proof that divine precautions were made to prevent the gods from having to grant wishes to an evil one. This fits very well with Daphnes’ speech in Wind Waker about the task placed on Zelda and Link by the gods. When Ganondorf got the Triforce, the goddesses themselves chose Link and Zelda to hold the other two Triforce pieces to keep them out of the reach of Ganondorf. A sort of divine conflict appears to be taking place. The Triforce desires to be complete and in the hands of one master, whether good or evil. The goddesses, on the other hand, took measures to keep the Triforce separated so as to keep it out of the reach of evil. In a cutscene in which six sages attempt to execute Ganondorf, the protective qualities of an individual Triforce piece are again seen. Chained and unable to move, Ganondorf is stabbed through the chest with a magical sword,and appears to die. In a similar fashion to Ocarina of Time, his Triforce of Power symbol begins to glow, and he finds new strength. The Triforce piece empowers him to break his chains, murder a sage, and remove the sword from his chest before he is banished to the Twilight Realm. 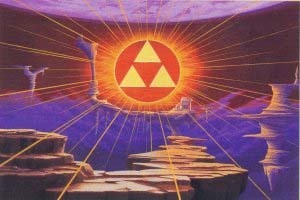 The transforming qualities of the Triforce are displayed when Link enters the Twilight for the first time. In an apparent reaction to the effects of the Twilight, Link’s Triforce of Courage begins to glow, and he is transformed into a wolf. It’s possible that the pig-like beast form Ganon takes in this game is also a result of a Triforce piece reacting to the Twilight. Long ago, the three golden goddesses descended, upon the chaos that was Hyrule. Din, the goddess of power, Nayru, the goddess of wisdom, and Farore, the goddess of courage gave the world form, law, and life, and then departed for the heavens. At the point at which they left the world, three golden triangles remained. Containing the essence of the goddeses, these sacred triangles became known as the Triforce. Possessing mystical powers, the Triforce is omnipotent, omniscient, and capable of teleportation. 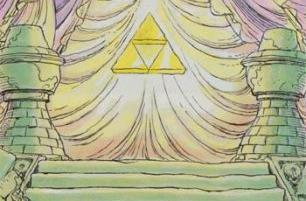 The resting place of the Triforce became known as the Sacred Realm. 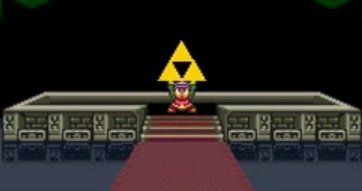 The Triforce would remain hidden in the Sacred Realm, awaiting the arrival of someone who would touch it and claim its power. The Sacred Realm is like a mirror, reflecting the heart of the one who enters it to touch the Triforce. If the heart of the one who touches the Triforce is evil, then the Sacred Realm will become a Dark World flowing with evil. If a person with a pure heart touches the Triforce, the Sacred Realm will be purified again. Likewise, the people who enter the Sacred Realm or Dark World, become transformed. Their outward appearance becomes a manifestation of their hearts and their minds. The Triforce itself cannot judge between good and evil, because only the goddesses who created it are able to do that. However, it is a balance that can weigh the three forces of Power, Wisdom, and Courage. If the one who touches the Triforce has all three of these forces in balance, he will obtain the True Force to govern all the pieces, and the goddesses will have no choice but to grant the wishes of the one who touched the Triforce. If the person who touches the Triforce does not have these three forces in balance, they will only receive the piece of the Triforce that represents the force he most believes in. The other two pieces will be granted to two new holders, chosen by the goddeses, and marked with a Triforce crest on the back of their hand. The Triforce pieces will reside inside of the holders, and they are charged by the goddesses with the task of protecting them. If the unbalanced person wishes to obtain the True Force, the two chosen ones must be sought out, and the lost pieces must be recovered from them. If two or more Triforce pieces are near each other, they begin to resonate, for the Triforce wishes to become complete again, so that it can be owned by one master and fulfill its purpose of granting wishes. The Triforce will only grant the wishes of one master, as long as the master lives, and awaits a new master upon his death. Since the goddesses wish to keep the Triforce out of the reach of evil, if an evil one is able to control the Triforce and wish upon it, the goddesses will raise up a hero to counter the evil. The individual Triforce pieces do not possess the wish-granting power of the complete Triforce, but they have powers of their own. Similar to the complete Triforce, the individual pieces are capable of transforming their holders. Unlike with the completed Triforce, this transformation takes place outside of the Sacred Realm, and is controllable by the holder. The individual pieces also have protective qualities, even to the point of reviving someone from what appears to be mortal wounds. The individual pieces do not grant unlimited protection or immortality though. It is possible to die while possessing a Triforce piece, and if this happens, the piece will leave the holder’s body in a physical form. A Triforce piece will also leave the body of its holder if he or she attempts to cross certain boundaries. A Triforce piece will not allow itself to be taken across certain dimensional boundaries. The holders of the individual pieces can also bring forth their piece in a physical form at will. The Triforce piece can then be broken down into multiple, smaller pieces for protective purposes, and re-assembled. Ganondorf assembles the Triforce and prepares to make a wish, but he is too late. While he’s talking to Link and Zelda, King Daphnes touches the Triforce, and wishes for hope and a future for the children. As part of the fulfillment of Daphnes’ wish, the Triforce flew off to a new location for Link and Zelda to find it. Since Daphnes appears to be a spirit, he’s not “living”. Therefore, after granting his wish, the Triforce returned to the Sacred Realm to await a new master. Twilight Princess also leaves us with an ambiguous ending regarding the Triforce. After a long, drawn-out battle between Link and Ganondorf, Link defeats Ganondorf, and stabs him with the Master Sword. 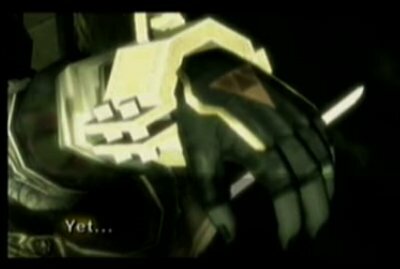 The Triforce crest on Ganondorf’s hand fades away, and he appears to die, but remains standing. From the first Legend of Zelda game, we know that a Triforce piece physically leaves its holder upon death, but we don’t see that in Twilight Princess. Some hold that Ganondorf is not actually dead, while others believe he is, and that the Triforce of Power somehow left him. Neither theory accounts for the location of the Triforce piece though, and it remains a mystery. The other time we see seemingly irregular Triforce behavior is also in Twilight Princess. When describing how Ganondorf managed to survive the attempted execution, the sages say he was granted the power of the gods by “some divine prank”, or “a prank of the gods”. What exactly that means is hotly debated. As with the quote from Wind Waker about being separated from the elements that made Link a hero, the interpretation of “divine prank” is largely dependent on the ending of Ocarina of Time, after Zelda sends Link back in time to regain his childhood. 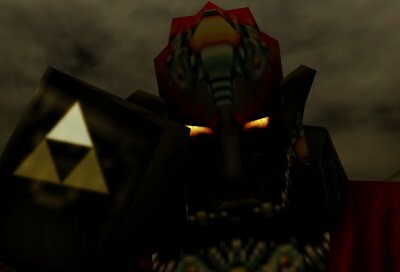 If Link returned to a time before he pulled the Master Sword, then Ganondorf never succeeded at entering the Sacred Realm and touching the Triforce. Thus, the “divine prank” is that Ganondorf (and consequently Link and Zelda as well) have Triforce pieces despite the fact that the Triforce was not touched. Many believe this is because the goddesses, being outside of the influence of time and timelines, know that Ganondorf, Zelda, and Link are the rightfull owners of the Triforce pieces. It’s theorized that despite the fact that the Triforce was not touched and split during Link’s childhood, the pieces were granted anyway, because Ganondorf, Zelda, and Link are its rightfull owners. Others believe that Link returned to a time after when he had originally pulled the Master Sword, and so Ganondorf succeeded in touching the Triforce during Link’s childhood. The “divine prank” is then just the fact that Ganondorf holds a Triforce piece. The sages believe it to be a prank of the gods that an evil one would be blessed with a godly power. In conclusion, the various different accounts and stories of the Triforce harmonize very well overall, but we still do not know everything about the Triforce. Perhaps future games will confirm theories that have been made about the remaining mysteries, or perhaps the theories will be disproven. Maybe we’ll even see more mysteries surface in the future. For now, we can only do our best to understand the Triforce with the knowledge we possess. *All quotes with an asterisk (*) next to them are not official Nintendo of America quotes, but direct translations from the original Japanese text. Direct translations are used in places where the Nintendo of America’s edits, mistranslations, or censorship alters the plot.